This card is the last of three I've created for three very special ladies in my life, my sister and two teenage nieces. You can see the first one here and yesterday's here. Today's is for my younger niece who is 13 today! Happy birthday Nicole! The color mats are Lost Lagoon. The stamped sentiment from the hostess set Bloom with hope and the additional Grunge are stamped in Lost Lagoon. The detailing on the Bloom is with the Coastal Cabana blendie. All the products I've used to create the card are available 24/7 in my Online Shop. Click the images below to be taken straight to them. Personally I love all three cards and can't choose a favorite, but I'd love to know if you have one. Whatever you're doing this weekend, including turning your clocks back an hour if you're in the US, have a great one and I'll see you back here on Monday. 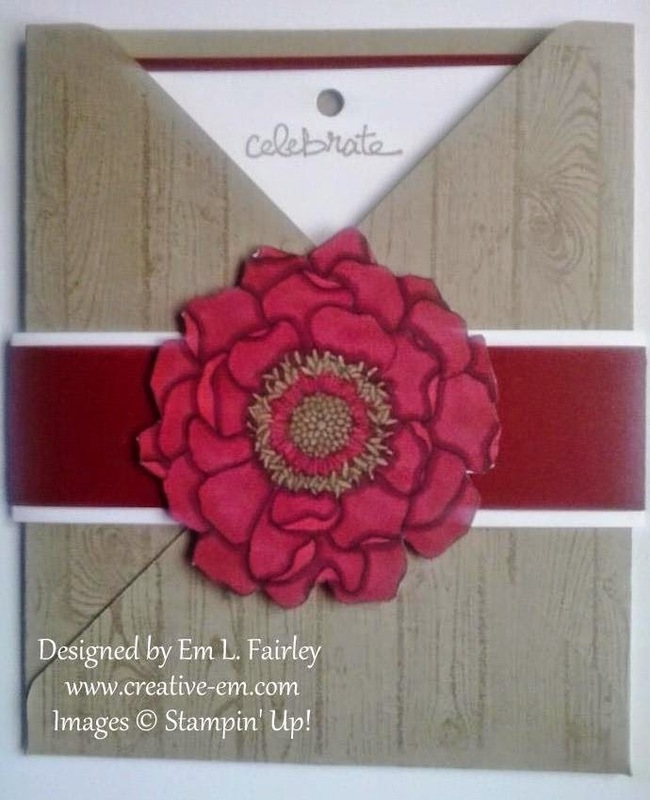 Labels: birthday, Blendabilities, Blended Bloom, Bloom with hope, Decorative Label, Gorgeous Grunge, Stampin' Up! The color mats are Strawberry Slush. The additional detailing on the bloom is with the Melon Mambo Blendie. Sentiment is from the hostess set Bloom With Hope and that and the additional Grunge are stamped in Blushing Bride. All the products I've used for today's card are available 24/7 in my Online Shop. Click the images below to be taken straight to them. I'll be back tomorrow with the last of the three, the birthday girl's card, so I hope you'll join me then. Labels: Blendabilities, Blended Bloom, Bloom with hope, Decorative Label, Gorgeous Grunge, Stampin' Up! With Thanksgiving now less than a month away, I've finally started my preparation for it, by creating the cards. In doing so I've decided on the theme for the decorations and table settings, although I'm yet to create them. 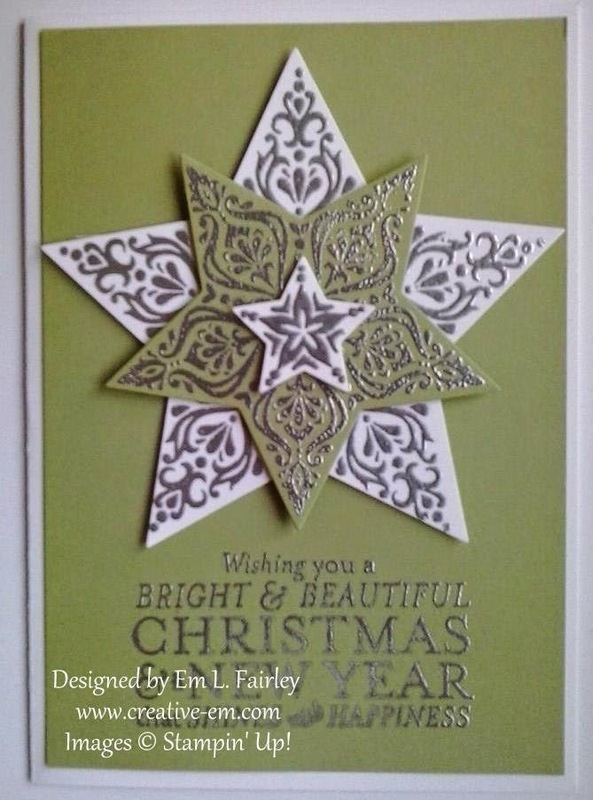 I love the Wondrous Wreath stamp and die bundle from Stampin' Up! and almost as soon as I saw it I knew it would be great for all sorts of occasions as well as Christmas. You can see my other creations HERE. My card base has been cut from Crumb Cake and folded tent style. 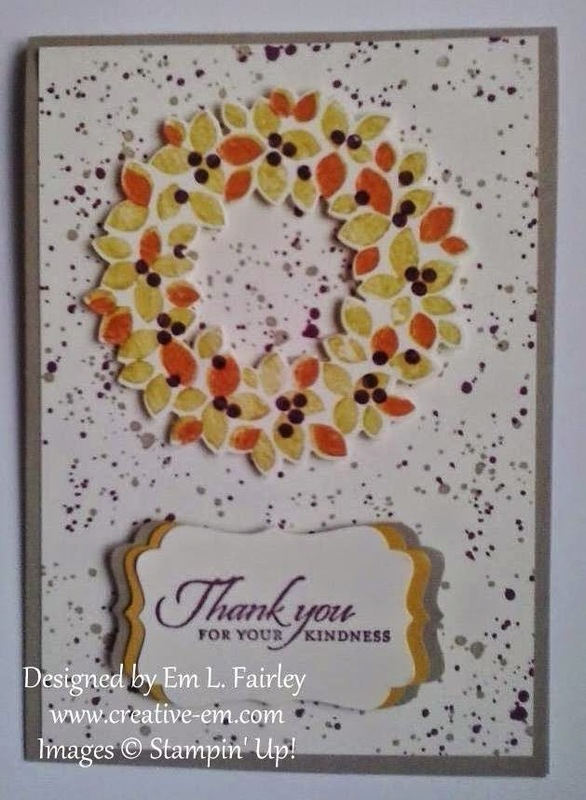 I've stamped the wreath on Very Vanilla in Hello Honey, Tangelo Twist and Rich Razzleberry for the berries. I've used one of the stamps from Gorgeous Grunge for the background, stamping in Crumb Cake and Rich Razzleberry on Very Vanilla. The sentiment is one from the Wetlands set, stamped in Rich Razzleberry and punched with the Decorative Label. I've punched another label from both Crumb Cake and Hello Honey and layered them together. This is the first time I've used the Gorgeous Grunge set and I LOVE the result. All the items used to create today's card are available 24/7 in my Online Shop. Click the image below to be taken straight to them. I'll be back tomorrow with another project using the Gorgeous Grunge stamp set, so I hope you'll join me then. Thanks for stopping by and for all your wonderful comments. I truly do appreciate each of you more than you know. The inspiration and indeed instructions for creating the gift card holders I'm sharing with you today came from another Stampin' Up! demonstrator, Caroline, AKA Crafty Hallett. 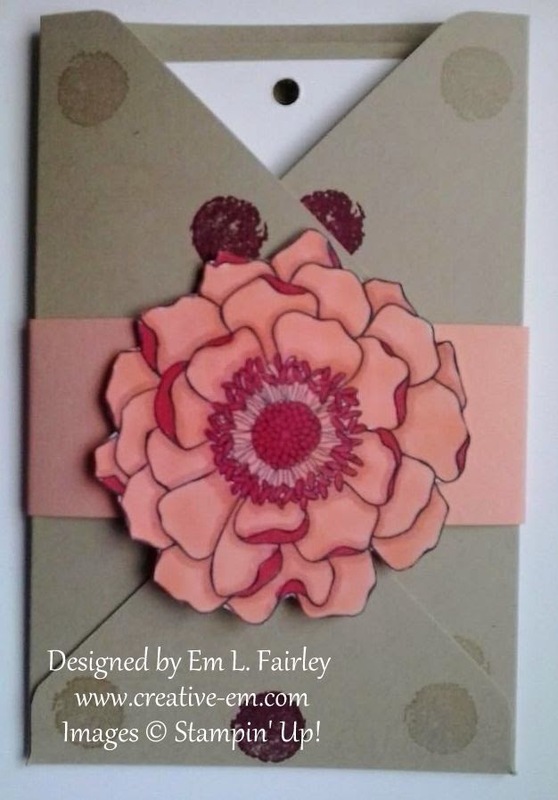 They really are easy to make with the Envelope Punch Board and you can see how in Caroline's short video. Instead of using a 6" x 4" piece of DSP as per Caroline's instructions, I've made mine from Very Vanilla card that measures 6" x 4 1/4". 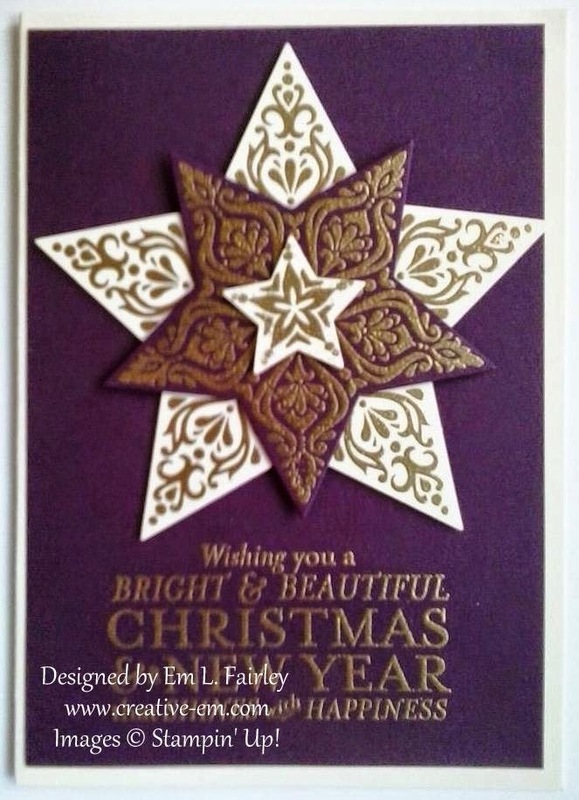 Before punching and scoring them I stamped the smallest star stamp from the gorgeous Bright and Beautiful stamp set in Rich Razzleberry ink. You can see my other creations using the stamp set here. 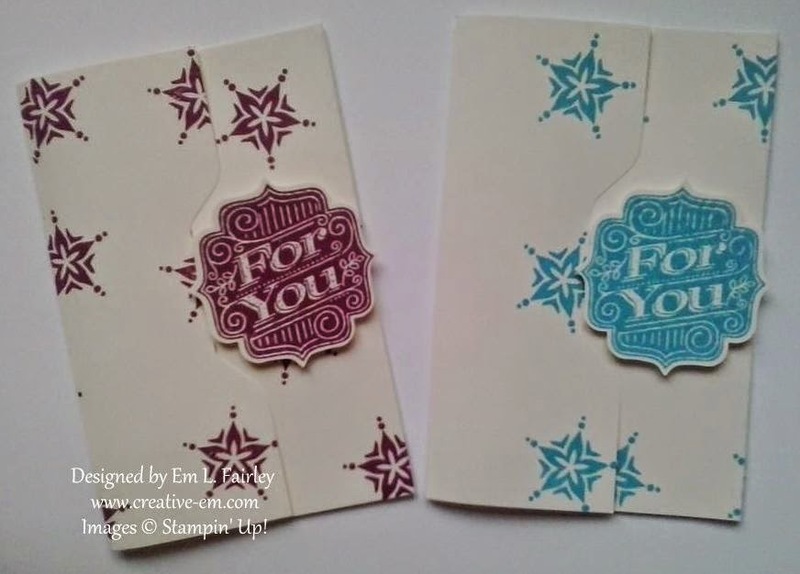 Then to decorate them I stamped the For You from the Tag Talk stamp set in the same ink onto more Very Vanilla and punched it out using the Bracket Label punch, before popping up on a couple Stampin Dimensionals. 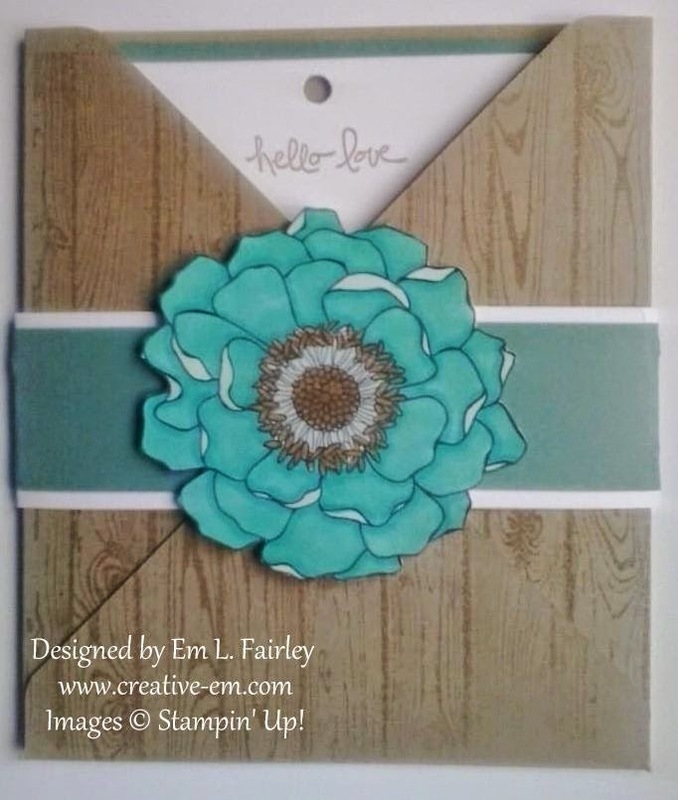 I loved it that much I created some with Tempting Turquoise too before creating envelopes for them using the EPB. All the products I've used to create today's projects are available 24/7 in my Online Shop. Click the images below to go straight to them. I'll be back tomorrow with another holiday themed project, so please do stop back then. The card I'm sharing with you today is similar to the last couple I've shared which can be seen here and here. Today's has been created for a special couple and I've used Strawberry Slush and Lost Lagoon card for the elements, together with Crumb Cake and Very Vanilla. All the products I've used in the design are available 24/7 in my Online Shop. Click the images below to go straight to them. I've loved creating the cards this week and I'm really happy to have shared something every day for the first time for awhile. Whatever you're doing this weekend, have a great one and I'll see you back here on Monday when I'll be sharing another creation. When I mentioned in yesterday's post that I'd be sharing a surprise with you today, I had no idea what I'd be sharing with you today! So not only is this creation a surprise for you, it pretty much is for me too! 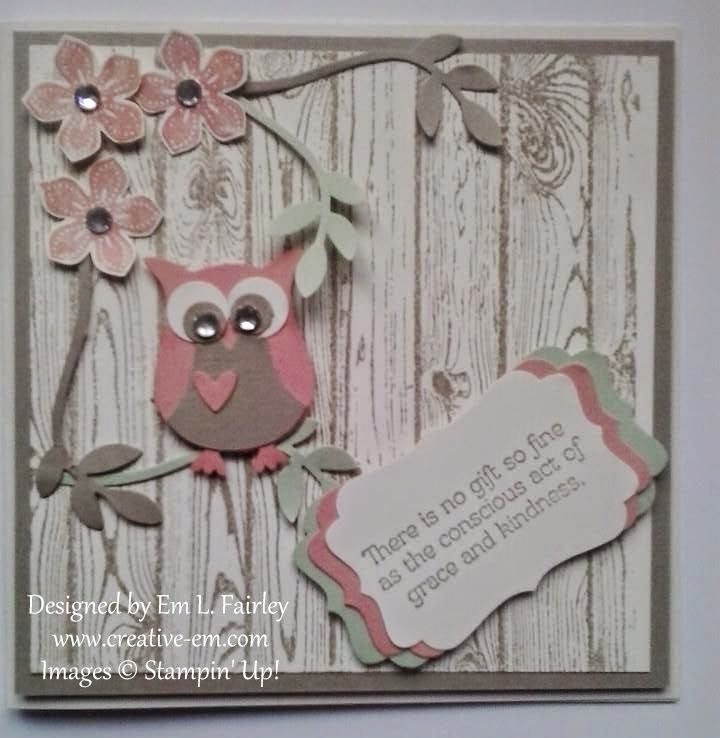 I absolutely love the card I shared with you yesterday, so when I got into the studio this morning I decided to change it up a bit and use the Hardwood stamp and Owl Builder Punch from Stampin' Up for today's creation. I've kept the subtle colors from yesterday, Very Vanilla, Crisp Cantaloupe and Crumb Cake and added in some Pistachio Pudding. The sentiment today is from the Gifts of Kindness stamp set as it truly fits the recipient and I've stamped that and the background in Crumb Cake and punched it out with the Decorative Label punch. The flowers are once again from Petite Petals and have been stamped in Crisp Cantaloupe and the branches are from the Bird Builder punch. Basic Rhinestones add the finishing touch of sparkle. I'll be back tomorrow with another creation, so I hope you'll stop by then. 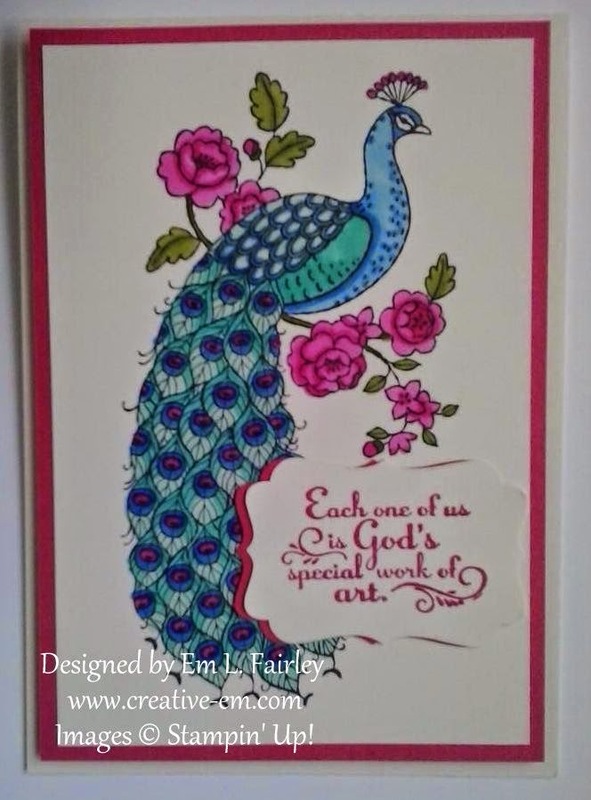 Labels: Bird Builder, Decorative Label, Gifts of Kindness, Hardwood, Owl Builder, Stampin' Up! It's been awhile since I've created a square card, but the extra space works so well and I'm really happy with the look. The Very Vanilla card base is folded to 5" square, the Crumb Cake layer is 4 3/4" square and the top Very Vanilla is 4 1/2" square. 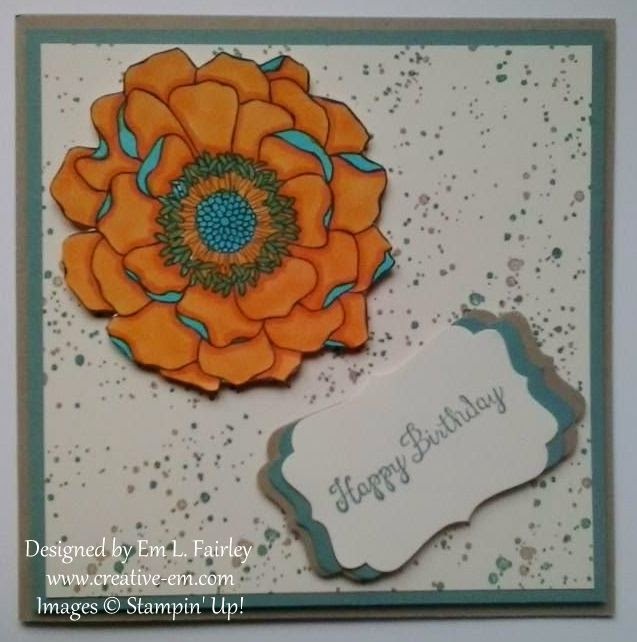 I stamped the top layer with the Dictionary background stamp in Crumb Cake, then on a snippet of Very Vanilla I stamped one of the six Petite Petals designs 3 times in Crisp Cantaloupe. The sentiment from the Trust God set is also Crisp Cantaloupe on Very Vanilla. I then punched the flowers out with the matching punch, and the sentiment with the Decorative Label punch, also punching an extra label from both colored card. The Bird Builder and Beautiful Wings Embosslit are from more Crisp Cantaloupe and I punched the additional branches from more Crumb Cake. I cut the lower labels in half and trimmed the point from them, so they would sit neatly beneath one another. To complete the design, I've added basic pearls for the bird's eye, the butterfly bodies and flower centers. All the products used for today's card are available 24/7 in my Online Shop. Click the image below to be taken straight to them. I'll be back tomorrow with a surprise project, so I hope you'll join me then. 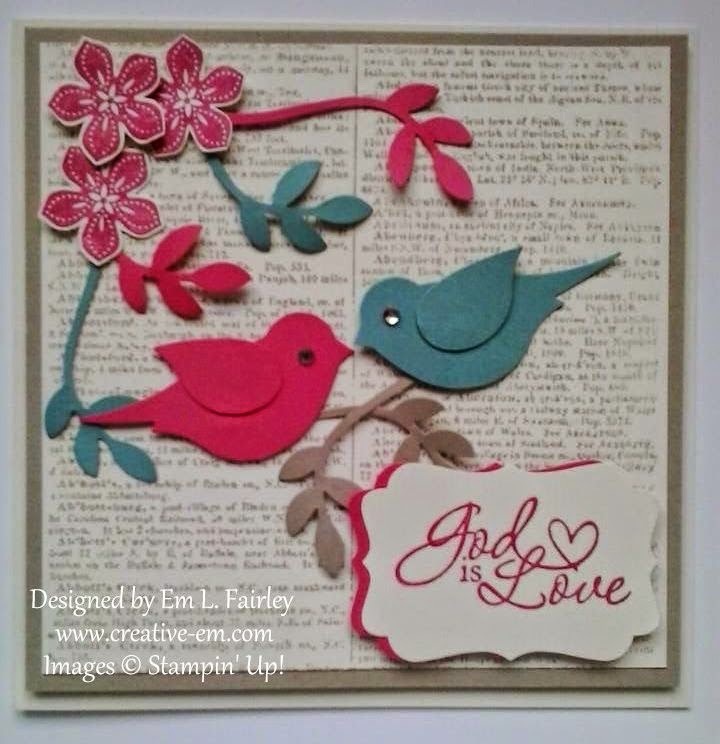 Labels: Beautiful Wings, Bird Builder, Decorative Label, Petite Petals, Stampin' Up! Thanks for stopping by and for all your comments. I truly appreciate each of you more than you know. It's been awhile since I've created mini cards and I absolutely loved creating this one with the gorgeous Bright and Beautiful stamp set from Stampin' Up! 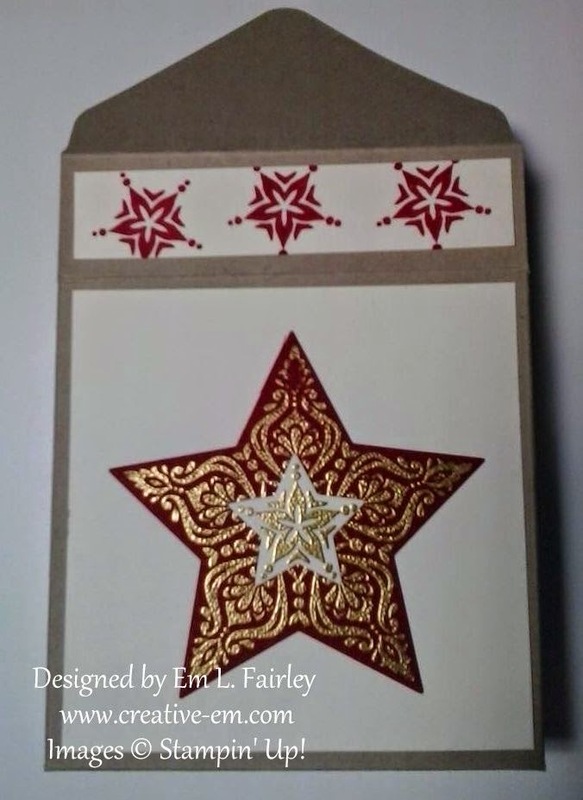 The Very Vanilla base card is folded to just 3"x3" and the middle star of the stamp set, stamped and embossed in gold on Cherry Cobbler card, fits it perfectly. 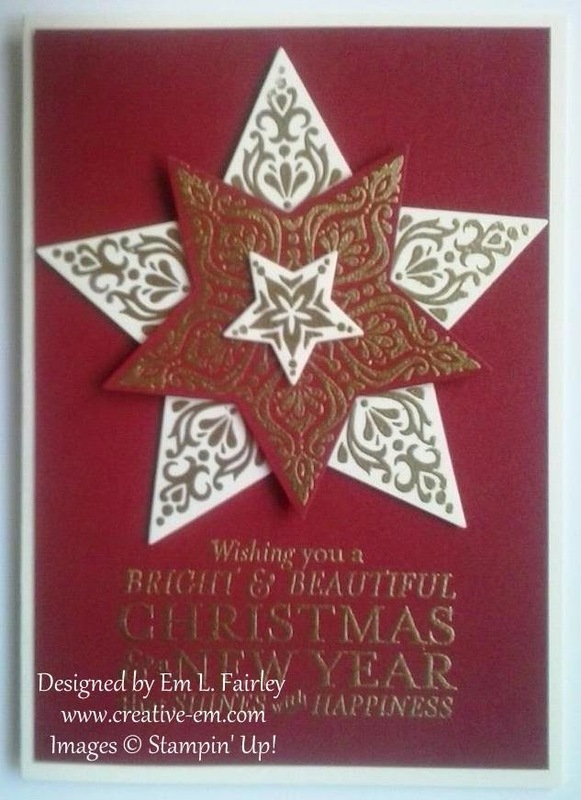 I stamped the smallest star on more Very Vanilla and attached it with a glue dot. The tiny sentiment from the set gives a finishing touch. The card is one of an identical set of six and I created a box for them from Crumb Cake card using the Envelope Punch Board. It's really easy to make and shows that the EPB isn't just for envelopes. I did use it to create those for the cards too. The box is decorated with more embossed stars and the side panels with stamped ones. All the products used are available 24/7 in my online shop. Click the images below to go straight to them. I'll be back tomorrow with another Blendie creation, so please do stop back then. 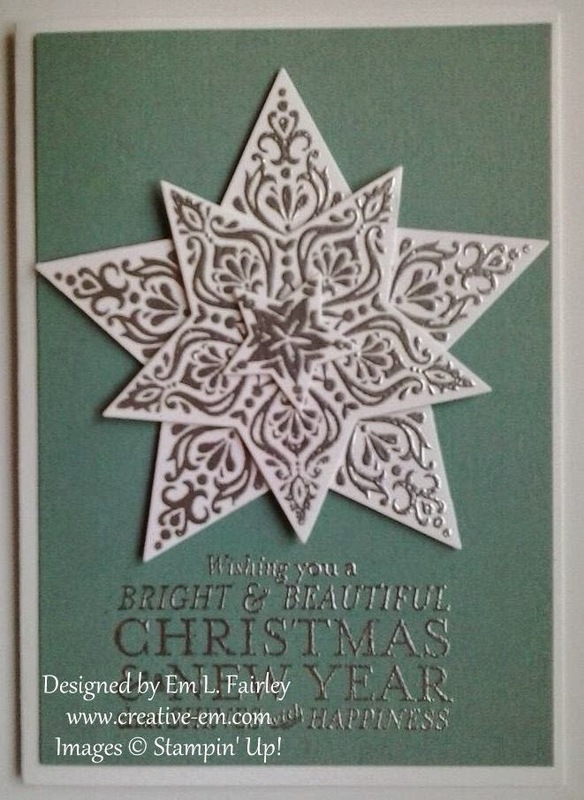 The card I'm sharing with you today isn't the one I thought I would be, because that isn't quite ready yet (I'm waiting on my latest UPS delivery of Stampin' Up! goodies), but instead it's another Wondrous Wreath creation. The set isn't just for Christmas, it can be used for any season or occasion, simply by changing the colors used. 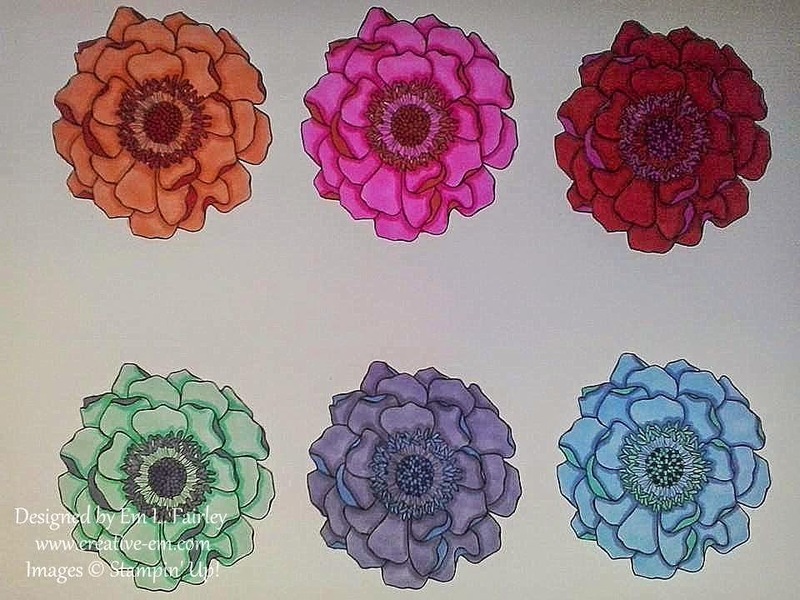 Here I've colored directly onto the base wreath stamp with the new 2014 - 2016 In Color markers, Hello Honey and Tangelo Twist, then used the Mossy Meadow marker for the second layer. 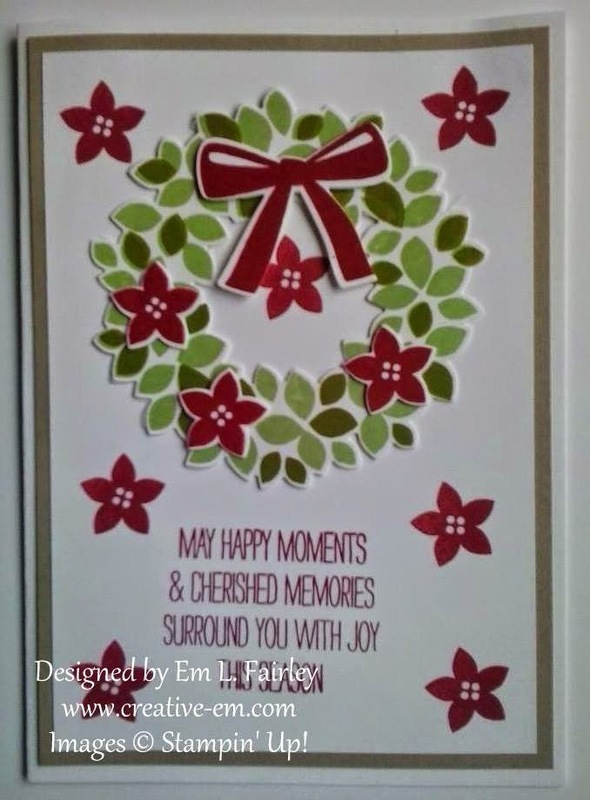 The berries on the wreath and base card are the Blackberry Bliss marker. 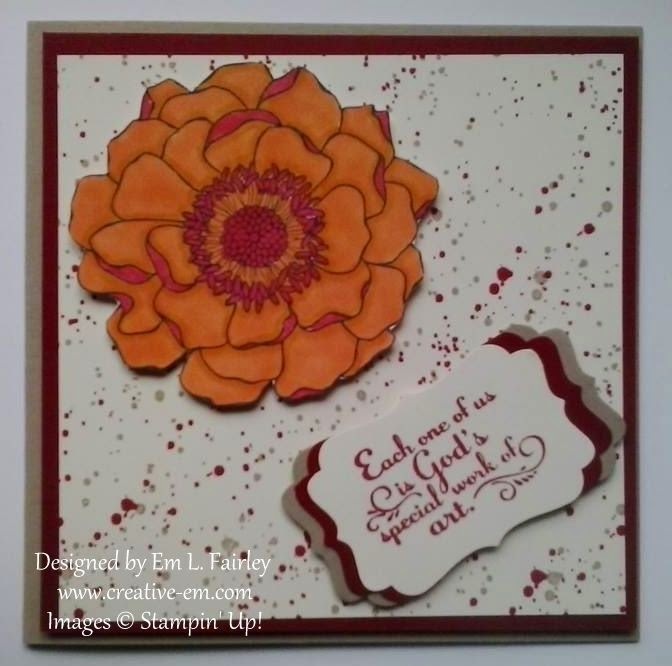 The sentiments, again colored with Tangelo Twist are taken from the Gifts of Kindness stamp set (thank you), and the hostess set Bloom with Hope. The bow from the Framelits set is cut from a scrap of Blackberry Bliss card and I've added a layer of it to the folded Whisper White base before adding the top layer. I'll be back on Monday with the project I had planned to share today. Whatever you're doing this weekend, I hope you have a great one! Thanks for stopping by, it's an honor to have you here. A little unsurprisingly the card I'm sharing with you today is another pocket card. I've changed things up from the last ones I showed you, which can be seen here and here, by using the Work of Art stamp set from Stampin' Up! I've once again created the pocket with Crumb Cake card and then used the small dot stamp from the set to add detail to it, using Crumb Cake and Cherry Cobbler ink. The belly band is cut from Calypso Coral card to match the Blended Bloom, which, as you saw in my last post, is colored with Calypso Coral and Cherry Cobbler Blendabilities. 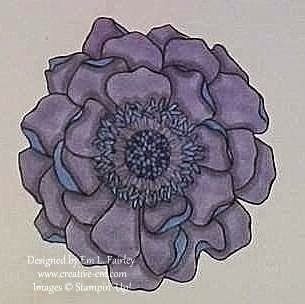 Each of the blooms in the previous post have also been added to pocket cards and you can see them on my Facebook page. All of the products I've used to create the card are available 24/7 in my online shop. Click the image below to be taken straight to it. I'll be back tomorrow with my latest project using the Bright and Beautiful stamp set, so I hope you'll join me then. 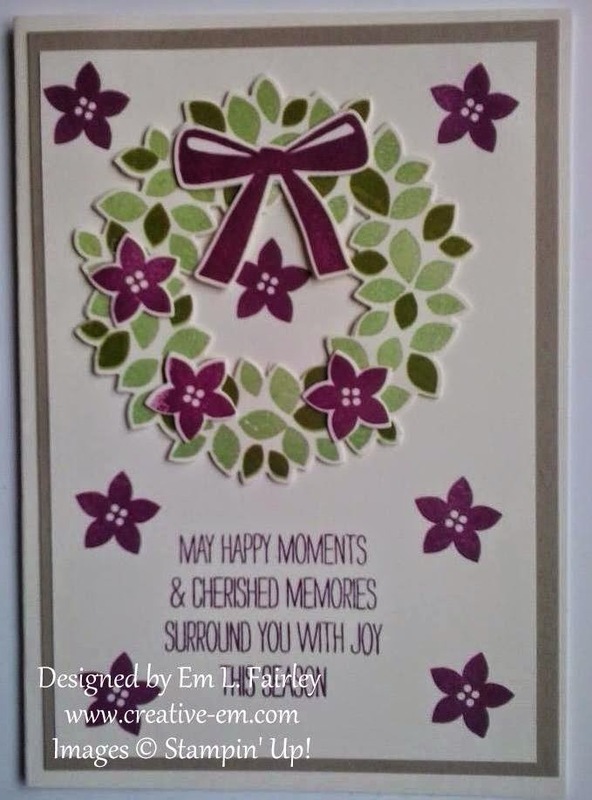 Labels: Blendabilities, Blended Bloom, Facebook, pocket card, Stampin' Up! In last Friday's post I promised you something different, although I am a day late getting it to you and for that I apologize. What I'm sharing today is different for a couple reasons, firstly, it's very rare that I share a creation that is still in progress. Regular readers will likely know that I absolutely LOVE the Blendability alcohol markers from Stampin' Up! and they are the subject of today's post. Whenever I've used them previously I've always just used a single set for each design, adding in extra colors with Stampin' Write Markers. You can see all my other "Blendie" creations here. Left to right along the top: Calypso Coral with Cherry Cobbler detail. Melon Mambo with Calypso Coral. Cherry Cobbler with Melon Mambo. Bottom row left to right: Coastal Cabana with Wisteria Wonder. Wisteria Wonder with Night of Navy. Night of Navy with Coastal Cabana. All the products I've used are available 24/7 in my online shop. Click the image below to be taken straight to it. I'll be back tomorrow with the creations these beautiful blooms have now been added to. Can you guess what that is? 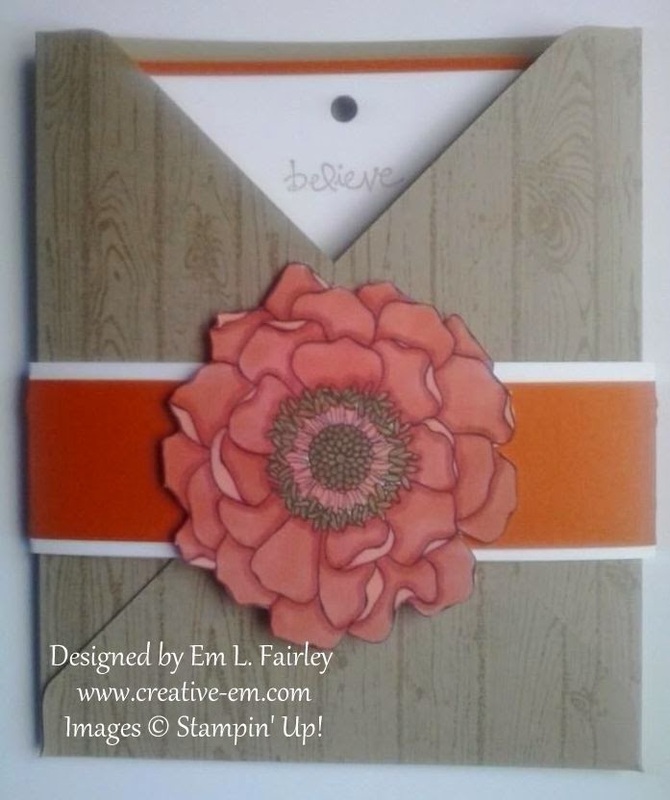 Labels: Blendabilities, Blended Bloom, Stampin' Up! Thanks for stopping by today and for all your wonderful comments. I truly do appreciate all of you! I've seen a lot of gorgeous pocket cards recently and I couldn't wait to give the technique a go myself. 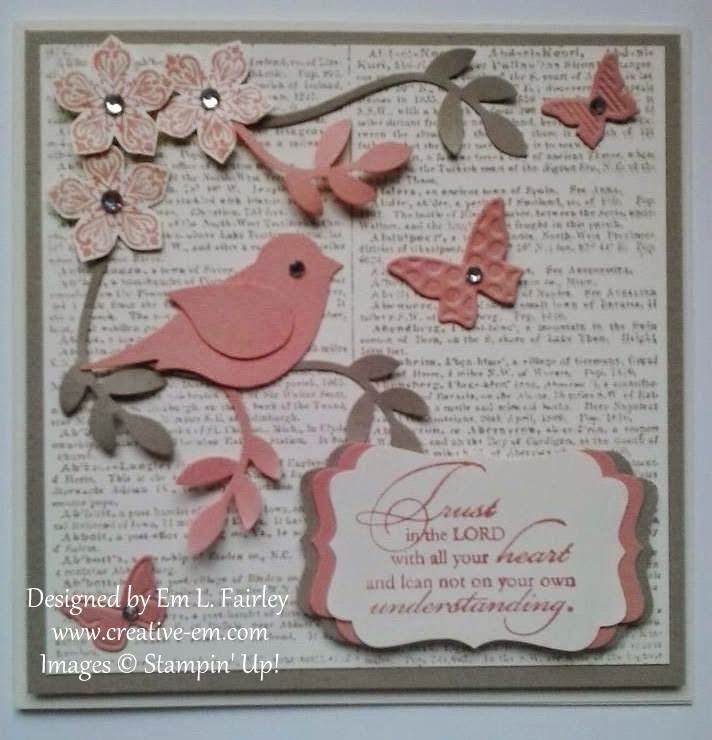 I've cased this one from another Stampin' Up! demonstrator, so thanks Caroline for the inspiration! I cut the insert card and belly band from Whisper White and one of this year's new In Colors, Tangelo Twist, layering them up. I then used the Calypso Coral Blendabilities to color the Blended Bloom, which I'd stamped in Memento ink on more Whisper White card. 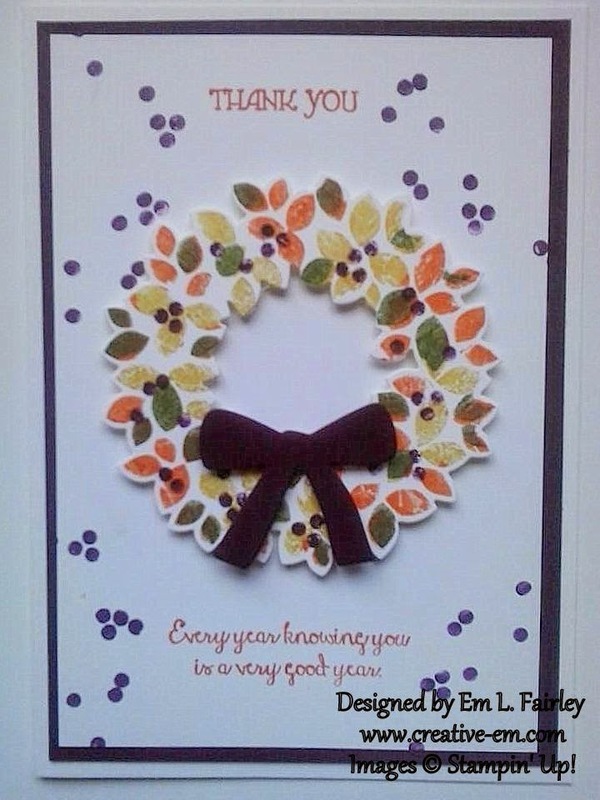 The small sentiment is from the Good Greetings stamp set which is available FREE until the end of October with orders over £200. All the products used in today's card are available 24/7 in my Online Shop. Click the images below to be taken straight to them. I'll be back tomorrow with another of this style of card, so I hope you'll join me again then. I used non-traditional colors of Lost Lagoon and Tempting Turquoise for the wreath and Cherry Cobbler ink for the bow. 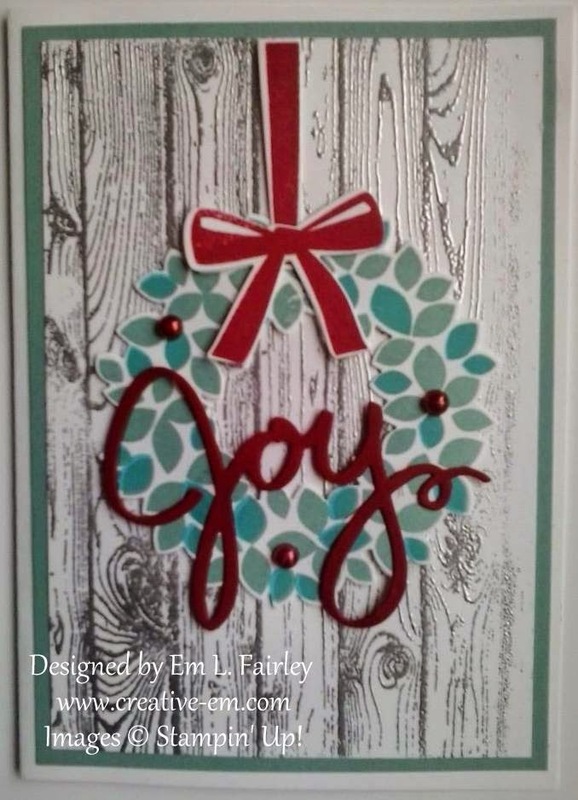 The "Joy" die is one of the dies that comes in the set and I cut it in Cherry Cobbler card. The embossed panel is layered onto Lost Lagoon which was then added to the Whisper White card blank. For the finishing touch I colored a few Basic Pearls with the medium Cherry Cobbler Blendability Marker. I love the design and would love to know what you think of it. All the products I've used are available 24/7 in my online shop. Click the images below to go straight to them. I'll be back tomorrow with a card that is a new-to-me style, so I hope you'll stop by to see it. Thanks for stopping by today, I'm honored to have you here. I must apologize for not getting this post out yesterday, but when I came to write it I realized that the pix that I had taken of the cards where nowhere to be found, so I waited for what little natural light we're getting to get them retaken this morning. The wreaths for both have been stamped in Pear Pizzazz and Old Olive inks. The flowers, bow and sentiment for the one above are Rich Razzleberry and Cherry Cobbler below. The card blank and panel above is Whisper White, with Very Vanilla below. The second panel for both is Crumb Cake. All the products used to create today's cards are available 24/7 in my online shop. Click the images below to see them there. I'll be back tomorrow with another card featuring the Wondrous Wreath set, although the design is very different to today's. I hope to see you then. Wow, thank you all for your comments on yesterday's post! 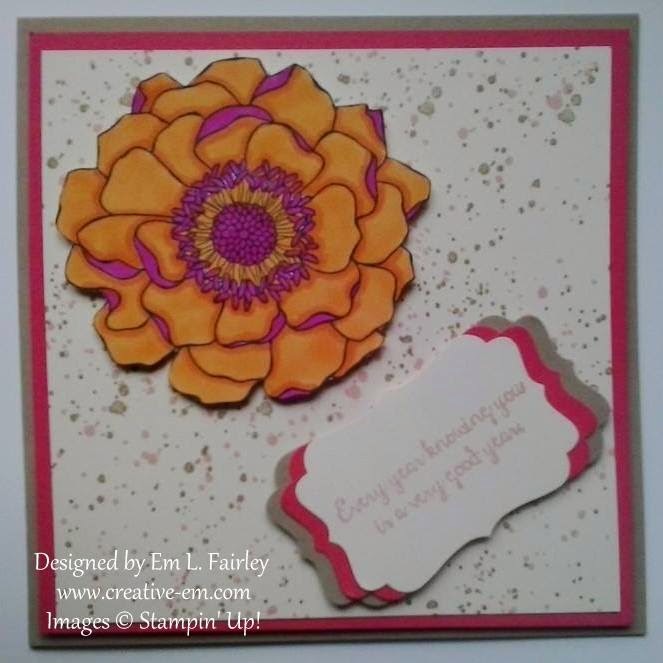 I absolutely love the Bright and Beautiful stamp set from Stampin' Up! and your comments on the post were so wonderful. So wonderful that instead of the cards I'd planned to share with you today, I'm sharing some more of those I created with that set. If you've got a favorite, please do let me know in the comments. I love them all, but I think yesterday's gold on Very Vanilla and Blackberry Bliss card, is my favorite. Click the link in the first paragraph if you missed that one. All the the products I've used to create the cards are available in my shop 24/7. Click the images below to be taken straight to them in there. Whatever you're doing this weekend, have a great one! I'll be back on Monday with the cards I'd planned to share today. 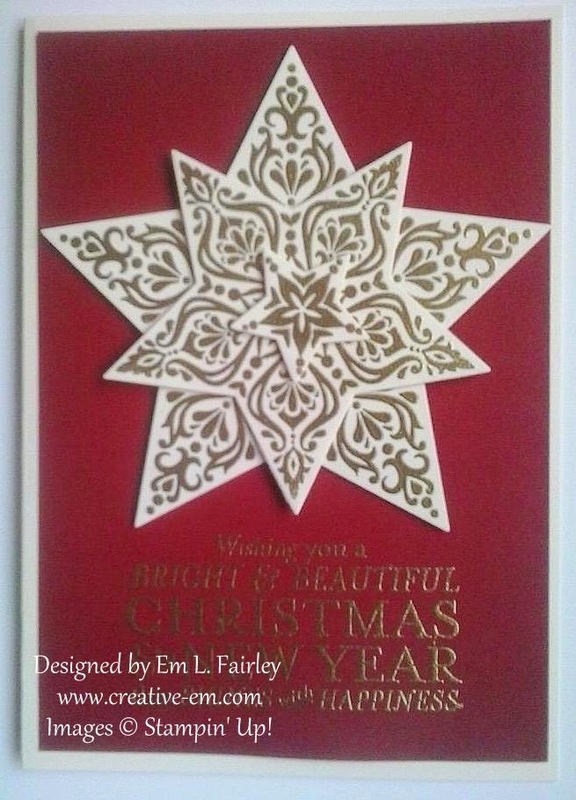 Labels: Bright and Beautiful, Christmas, embossing, Stampin' Up! Thanks for stopping by and for all your comments. I do appreciate each of you! 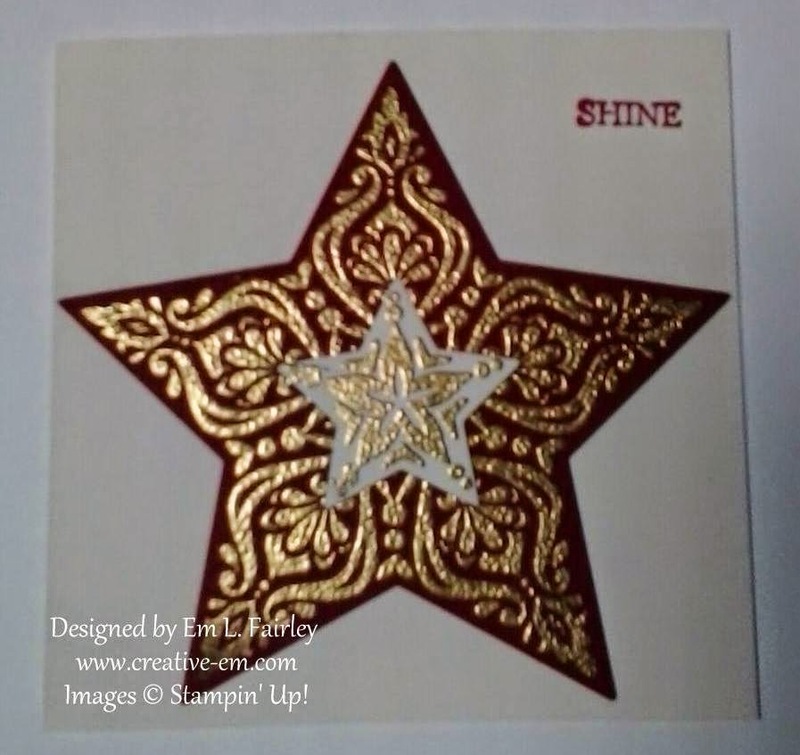 I stamped the stars in Versamark ink onto Very Vanilla and Blackberry Bliss card and then embossed them in Gold Stampin' Emboss Powder, before die cutting with the Stars Framelits. 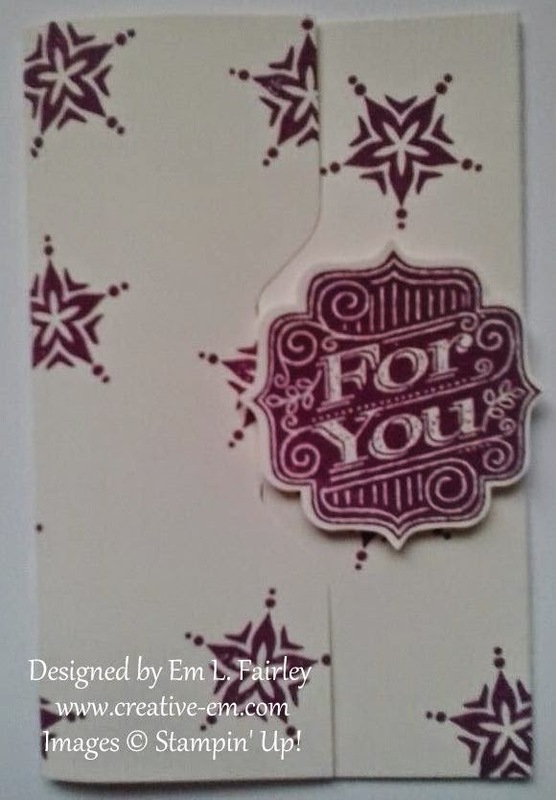 I then embossed the sentiment onto more Blackberry Bliss and matted the panel onto the folded Very Vanilla card blank. 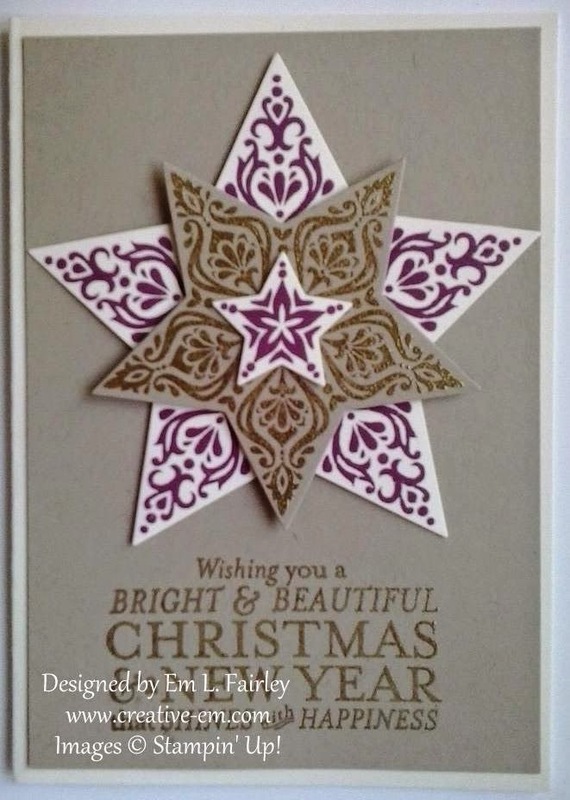 For added dimension I've popped each of the star layers up with Stampin' Dimensionals. I love the regal look of the color combo and the others in the set are equally stunning. I've added those to my Facebook page, so please do hop over for a look and like it if you've not already done so. I'd really appreciate it. All the products used for the card can be purchased any time, day or night, from my online shop. Click the links below to go directly to them. If you've any queries, please don't hesitate to contact me. either through the Facebook page linked above, or by email.